Thank you for sharing your joy with us. 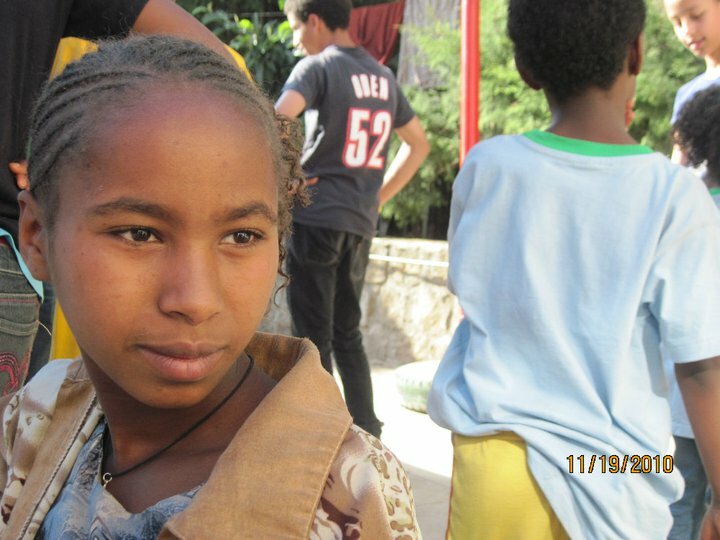 Last spring, EOR received a proposal from a new-to-us orphan care center, Friends of Orphans and Vulnerable Children. 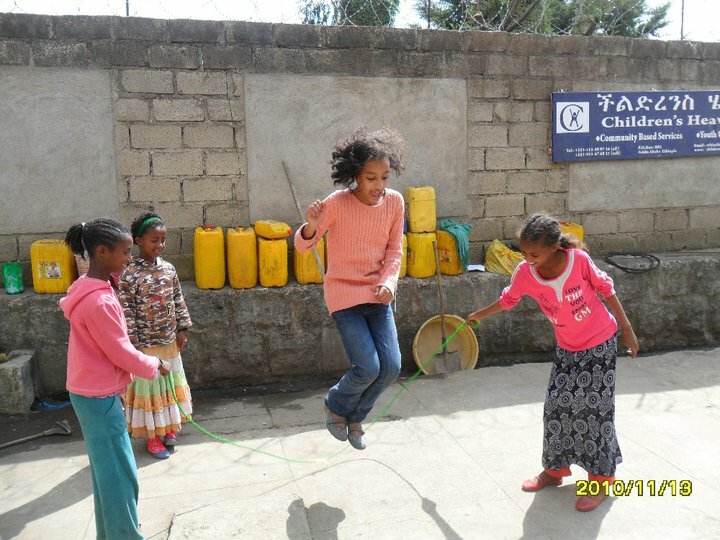 The proposal was a beautifully crafted three phase plan for creating a top-notch center for both orphans and vulnerable children in Shanto, an area in the Southern region of Ethiopia. EOR was eager to sign on, but the amount of money needed was daunting to say the least. Tentatively, we agreed to commit what we could to FOVC, knowing that other funding sources would be needed as well. Knowing that our initial funds would cover little more than a third of phase 1, our partners and projects chair, Lauren, got in touch with Desalegn, the director, to ask what he could do with partial funding. He shared his desire to build a few classrooms and better sanitation facilities with the initial funding, so we were happy to send the funds. Within weeks, Desalegn was sending pictures of the progress being made. The old facilities The new 4 latrine facility! Those of us on the board are SO excited to see your money hard at work. Your gifts of attention, financial support, and backpacks mean more than you could imagine to the children of FOVC. This week, lucky board member Katie, and our good friend, Becky were able to visit FOVC during their personal trip to Ethiopia. I’ve included the blog post from Desalegn, so you can see just how much fun they had. Every single thing we accomplish makes me so very proud to be part of this organization. Saying yes–yes to Desalegn, yes to large projects, yes to making dreams come true may have been my proudest moment yet. It was scary to commit to such a large-scale project, but I needn’t have worried–it wasn’t just 6 of us (aka, the board of EOR) committing to FOVC, it was the hundreds of us who are EOR. 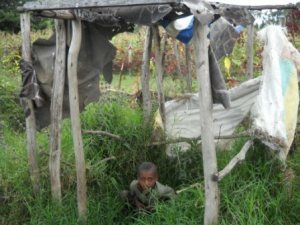 Together, we can help the children of Shanto, and so many more!!! Thursday and Friday were much blessing days for my children and FOVC’s staff at Shanto. The two very honored and beloved Americans, Katie and Becky, visited our orphanage and school and bring us too much love, uncountable supplies, clothing, shoes, t-shirts, much needed medical supplies etc. Here are some fantastic pictures of my children and our dearest friends Katie and Becky. Happy Thanksgiving, lovelies–you’ll all be remembered as we gather round my Thanksgiving table tomorrow. I am enriched by each and every one of YOU! As promised, before asking you to contribute to our year-end campaign, we’ll share updates about our partners. The first on the docket is Children’s Heaven. We added Children’s Heaven as a partner just as EOR was being formed. 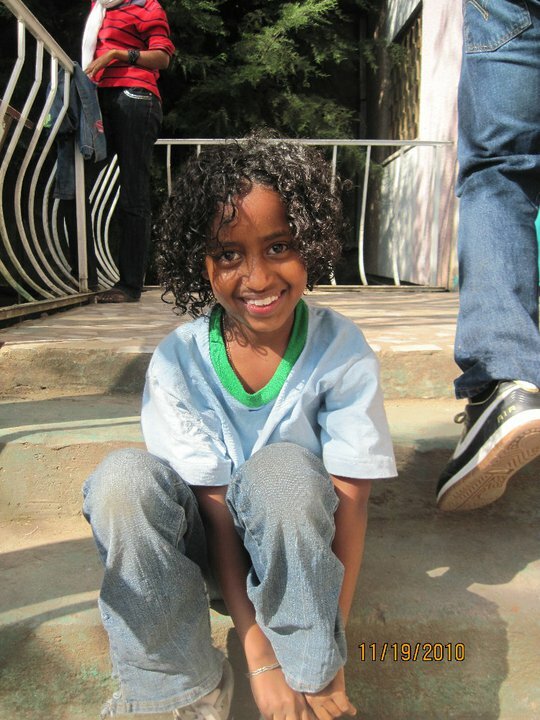 We were attracted to Hanna’s program because it was truly an orphan and vulnerable children care program. The girls, sponsored by CH, live in the community, usually with extended family. The sponsorship provides food, school fees and other necessities, so that families stretched precariously thin can provide the loving care and stability the girls so desperately need. I talked with Hanna recently, asking her about the status of Children’s Heaven. I’ve included our interview as well as numerous personal statements from the girls. 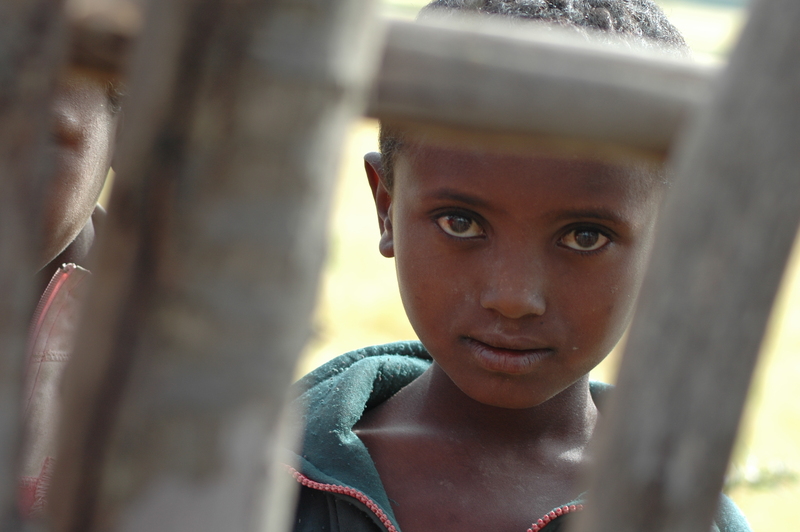 When I read them, it’s easy to know that we (all of us) really are making a difference in the lives of Ethiopia’s children. 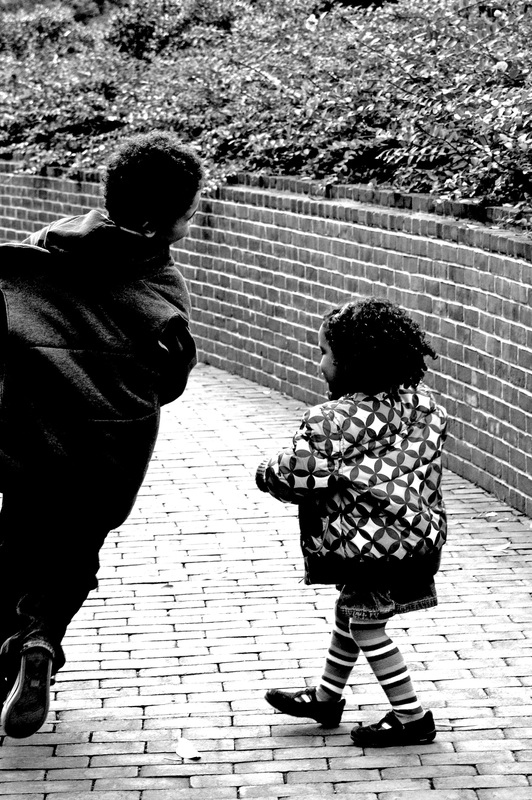 Thank you, thank you, for your support of Children’s Heaven in the past, and the support you will afford in the future. 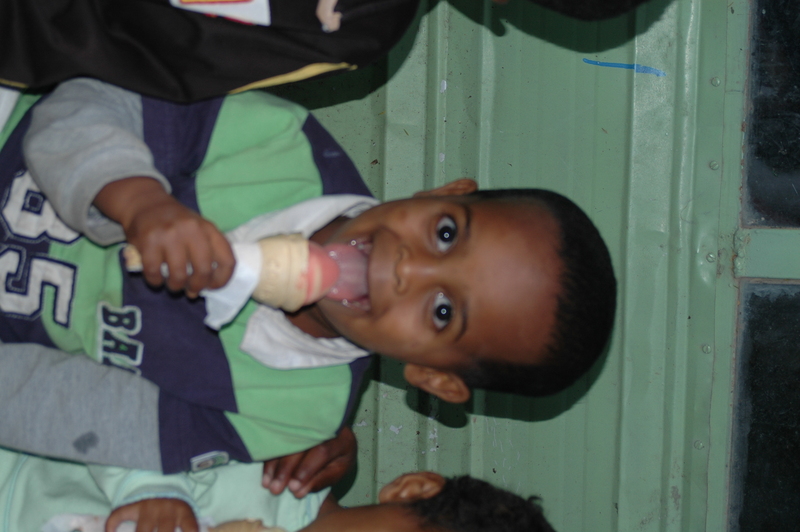 How have things changed at Children’s Heaven since Ethiopian Orphan Relief got involved? Things at Children’s Heaven are much better now. Since our partnership with EOR, Children’s Heaven, on top of being free of worrisome life of how we could come up with the rent money every month, we are encouraged and able to deliver our services to orphans in an effective way. Our new facility which is funded by EOR has enabled our services to the girls more efficient. The girls now have a place to do different activities in a safe setting with no concern of heat or rain. They also have a library, though it is not fully equipped, for them to sit down and read or write. 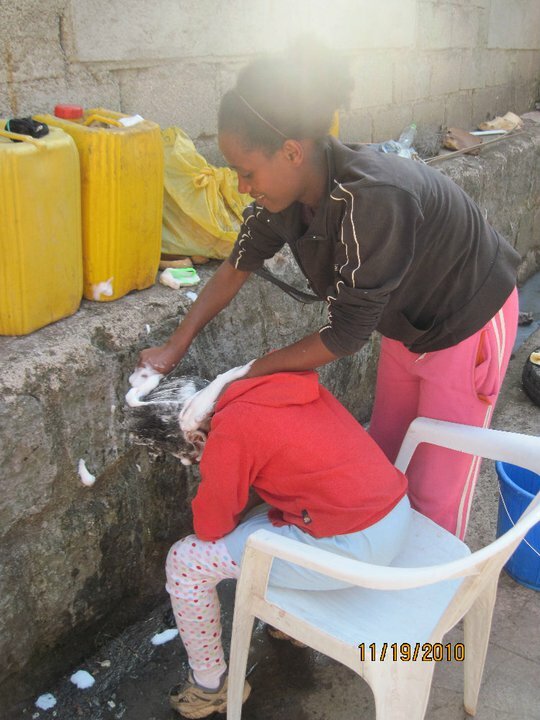 In addition, besides feeding program and other activities, the girls take shower every Saturday at CH facility, which they look forward to it every Saturday and are happy for this opportunity for most of them does not have access for shower. 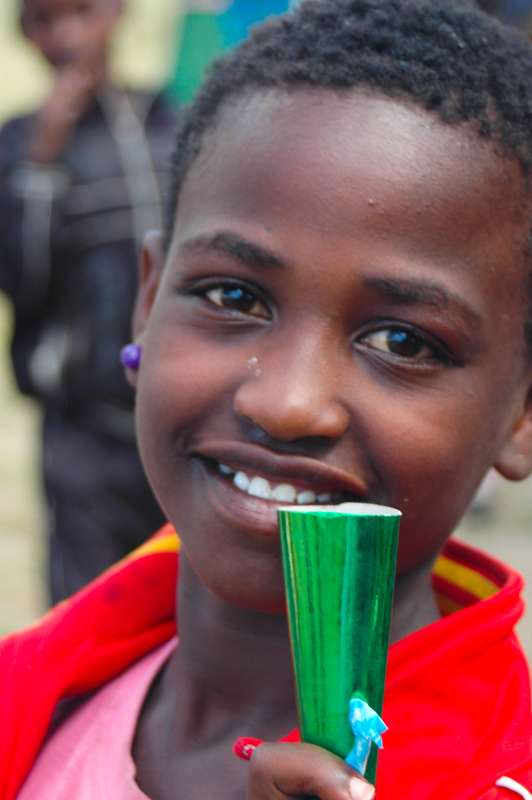 What would you like EOR’s supporters to know about Children’s Heaven and the girls you serve? 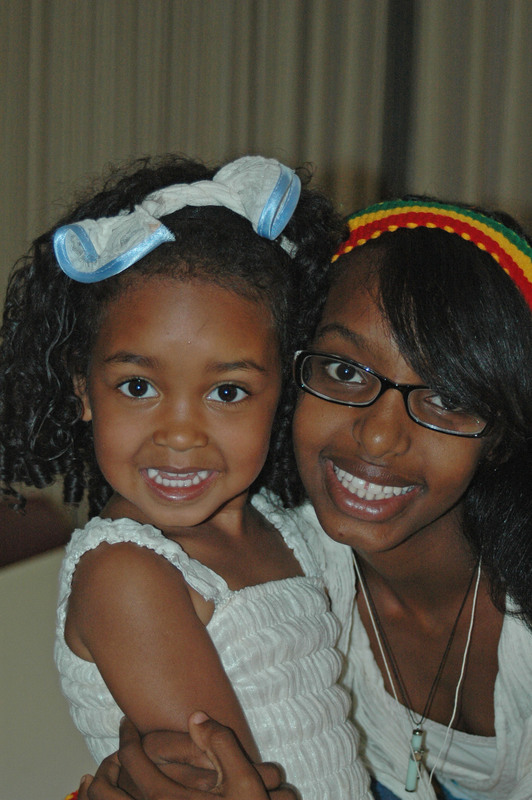 First of all, we appreciate your hard work and caring for Ethiopian Orphans in general and orphans at CH in particular. Also, despite world’s shaking economy please know that you are appreciated by all of us for your sacrificial input to our programs. On top of trying to reach the girls on our waiting list which are now over 200, and the number is increasing every day, my heart also goes out for their extended family. Most of our girls have lost their dads and live with their sick moms. It is hard to see sick mom’s every day challenge of trying to take care of their families as well as see the girls worry and withdraw when their mom’s get sick fearing they might also lose their moms. To help mom’s reserve their health and protect them from sun by going long distance as well as doing labor work; Children’s Heaven has recently included in our Project Proposal an income generating program for our extended parents such as candle, soap, peanut butter production as well as hand craft training of weaving, spinning, knitting, embroidery and sewing. Due to poor standard of education in the Government schools, we also have included in our current programs access to quality education for our girls by admitting them to public schools. How is the feeding program? Feeding program is going very effectively. We are all encouraged by nutritious meal program which is also funded by EOR and the girls are very happy and blessed by it. It has positively affected their health, their education as well as their self image. Please find the answer to the questionnaire that we gave to the girls a week ago to find out how they feel about Feeding Program and how it affected their life and their extended family. When there is no food for breakfast, I stay home from school for if I go I will feel sleepy in the classroom and come back without learning. It has made a difference in my living for now I am eating my lunch at CH, my lunch at home will be for my dinner. I used to have a stomach problem which I did not have now. At school, I am able to follow my school for I no longer worry about food. Before, if there is no food at home, I always fight with my mother. Now I am happy, thanks to God, for I do not starve any more. Before this program, I do not eat meat even once a week. I always eat the same thing every day. I do not eat balanced food. The only time I eat meat is when there is Holiday. .Before, I eat either once or twice a day. Now, I eat more than that. I was not able to take lunch box to school. But now I come and eat my lunch at CH which made me focus at school. I like the way they prepare our food. The standard of my feeding program was very poor. I used not to eat breakfast. Throughout the week we eat the same meal (Enjera and shiro wott). That is all I eat. I do not eat even eat Potato once in two weeks or once in a month. This program has made me to be happy in my life. Now, I am able to eat food the same as my friends. I used to feel withdrawn from my friends for I take the same food again and again at school. The program has made me healthy. This is a gift for me from God. When I go to school without food, I did not understand my lesson. But now I understand my lesson. Since I eat here the food at home will be for my dinner. It has helped my family 50% but for me it has helped me 100%. I am thankful about the feeding program. Before this program, my feeding was very low. For example, I will not get eggs, milk, meat and vegetables; especially meat, milk and eggs. Now, since the feeding program I am able to get these foods. It has made a change in my health. Getting balanced food it is essential for good health. Therefore, since what I eat here are good foods, I am able to benefit from it. Before and after school most of the time I do not get food. But now since I eat lunch here, if there is food at home it will be for my dinner. My family benefits too for sometimes I take my packed meal to my family and share it with them. I am very happy about you organizing this program and I am benefiting from it. I would like to say thank you for those who made this feeding program possible and may the Lord bless you. I will be happy if this program continues. If we have money it will be on Holidays that I will be able to eat meat. If we have not then we have not. In general, the foods I eat hear live alone in week I will not find them in months. It has made a difference in my health. I am very happy. Since we do not have enough food, what we have at home my mom will eat and I will eat here. Now, our food problem is minimized. I eat balanced food and I feel healthy. At school, I used to worry about whether I will eat when I go back home. Now, I am able to follow my education without worrying about food. Sometimes I take my packed lunch home and share it with my mother. It has brought a great change in our life. This feeding program is good for our health and everything. I used not to get balanced food. I always eat Shiro. Now I am benefiting from the program. Before, if I get potato once a week and it was exceptional for me, the word exceptional does not even explain it. So, I would like to say thank you for those who gave us this opportunity. It has also made a difference in my health. I do not get sick more often. Even if I get sick it will not be because of not eating balanced food. I would like to say may the Lord bless you! Before, I was not able to take lunch box to my school. But now I take lunch box because of you. This program has made us to be equal with others. I would like this program to continue for it has helped us in a lot of ways and enabled us to eat balanced food and not get hungry. I want it to continue. and finally… What are you hoping to fund next? Renting private homes is a major expense and there is a dramatic rise in a rent which brings insecurity to our work. I have a dream to buy a land of 1000-2000 sq. meters to enable us to build a functional site in order to develop our program and be able to reach more orphans and conduct needed services. We are hoping that all interested donors will be able to buy a few square meters of land for CH to achieve our goals of the above square meters of land. Sometime in mid-August, doubt crept in. Could we do this? Would anyone come? Can we get it all done? Does the community really want this? and more and more frequently, Why am I doing this? bounced around my otherwise empty noggin. As mentioned before, I’ve been privileged to serve on a wonderful committee of people to plan an Enkutatash celebration for our community. For the better part of the last three years the committee has labored to create an amazing annual celebration. After an optimistic spring, by late summer, planning is in full swing–money gets spent faster than it is replenished, and there is still an enormous amount of work to be done–vendors to sign, publicity, decorations, entertainment, and as always, a search for volunteers. This last week has been particularly frenetic. Lots of shopping, and calls, and hours of set up on Friday followed by an early start on Saturday morning. But by the time the celebration started at noon, all was well–the volunteers had arrived (including a very enthusiastic and helpful troop of girl scouts), the music was on, and the hall smelled like incense, and coffee and wat. During one of the 11,000 trips I made across the hall, I took a minute to look; to really see what we had crafted. 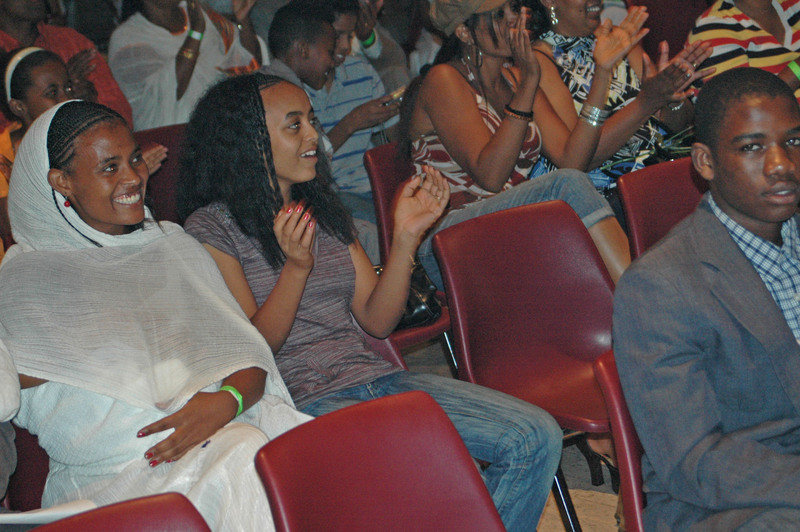 I was amazed to note that the work we had done created a sense of community, not just for the adoptive families in attendance, but for the hundreds of Ethiopian guests who now call Ohio, “home.” People ate, and danced, and sipped coffee, and relished being part of something greater than themselves. As I watched the clapping audience cheer on the dancers, I stopped thinking about the bottom line, stopped worrying about the time in took to make this all happen, and instead began to enjoy myself. 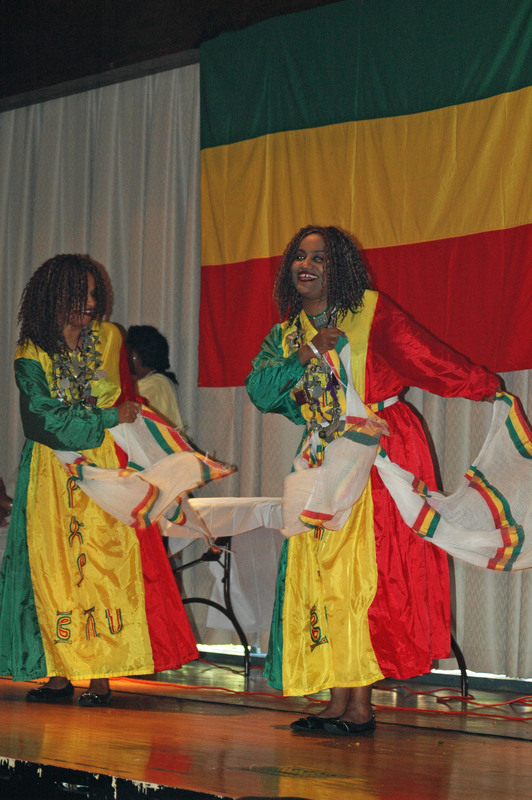 My own sweet Ethiopian girl was deliriously happy–she danced with vigor, played with friends, ate an obscene amount of gomen and tibs, and melted in to the crowd of hundreds of people who look like her. Her glee (and that of the crowd) was infectious. What an amazing start to this new year. It’s time to buy your tickets to the 2nd Annual Lights of Hope Auction! We have great items again this year. 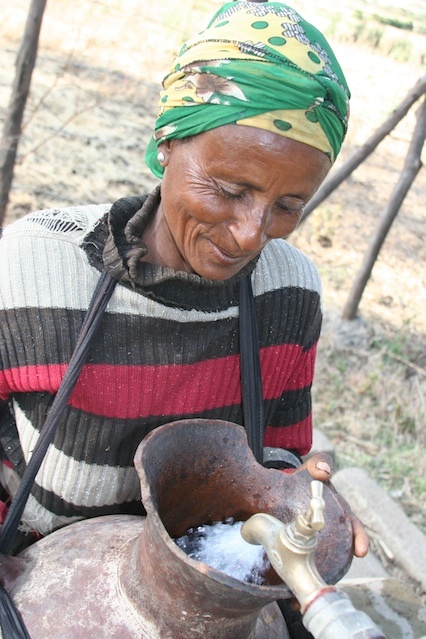 Join us–drink well, eat well, relax and help a portion of the 4 million orphans in Ethiopia without their own homes or their own parents to care for them. The event is Saturday, May 8th 5:30 at The Melody Ballroom, Portland, Oregon. Tickets are $50.00 a guest or $380 for table of 8. 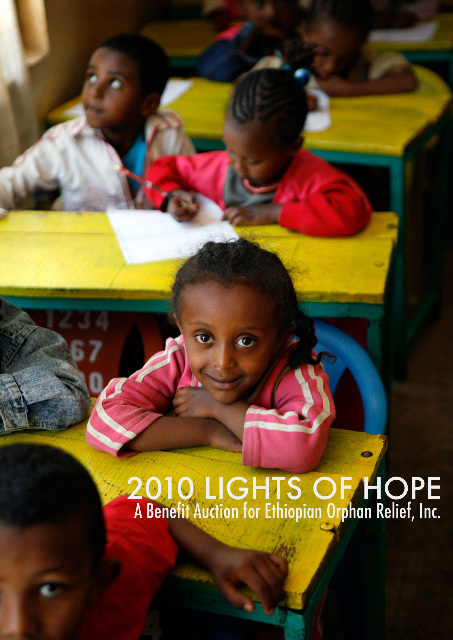 Contact kim@ ethiopianorphanrelief.org for tickets or purchase online at www.ethiopianorphanrelief.org. Go to events, Lights of Hope and click on Donate Now. Tickets are selling quickly–reserve yours now! Hope to see you there. It will be a night filled with wonderful memories! I hope to see lots and lots of you there! 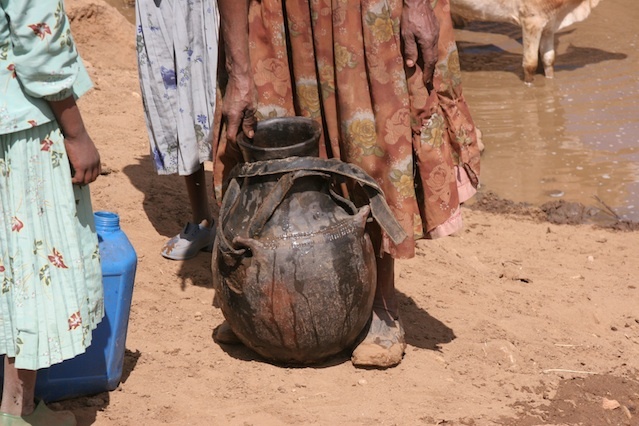 * we finished our water fundraising with a little more than 1100.00 of the 2500.00 we needed. We hope to add to the total with some very generous birthday gifts and some of the ‘wall of wine’ sales at the auction. Fingers crossed, applesauce! We’ll give a final total for this worthy endeavor next week. 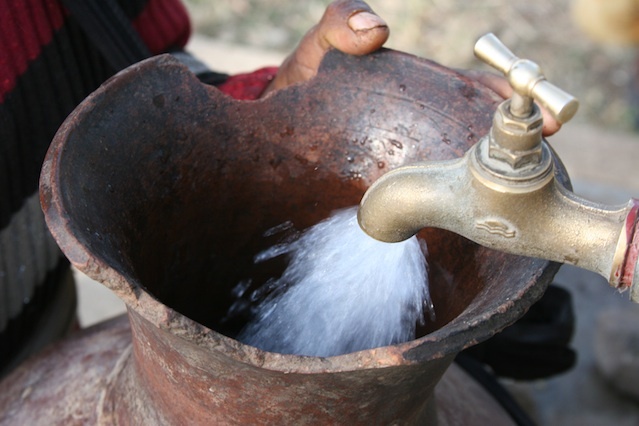 In the meantime, it’s not too late to donate to clean water for the village of Kelecho Gerbi.